If you think I'm kidding, let me assure you, I am not. You see, we haven't raised our heads high enough beyond those and every other issue caused my mankind to see the solution that is staring us in the face. There have been people who have seen the connection and offered specific and clear advice. People like W. Edwards Deming (1900 - 1993), the man often credited with introducing principles of quality to Japanese business. And there have been people who naturally followed that advice, consciously or unconsciously, and in so doing found unusual success. People like Philip Wang, the CEO of TWISBI, who, in four years has guided his company from inception to iconic status in fountain pen manufacturing, a field dominated by old line companies like Waterman, Sheaffer, and Mont Blanc. 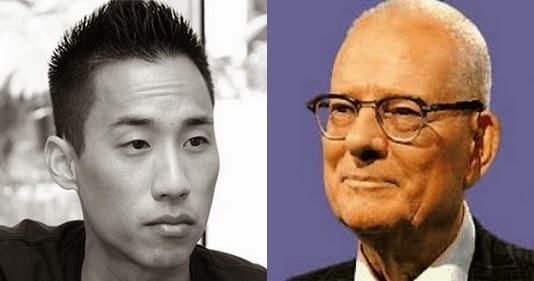 In spite of the decades we had with Deming and the examples, albeit few, of visionaries like Philip Wang, we still muddle along addressing symptoms rather than problems. "It's not enough to do your best: You must know what to do and then do your best." I'm a fountain pen geek and I have been one since I bought my first fountain pen in the PX at Camp Bearcat, Vietnam, in 1967. Brad Dowdy, aka The Pen Addict, notes on his web site, "There are worse addictions, right?" Through the years, I've collected pens made by Sheaffer, Waterman, Mont Blanc, Sailor, Pilot, Platinum, Kaweco, Noodler, and countless others. Recently I got involved with a project to promote old fashioned correspondence, called InCoWriMo (international correspondence writing month). Of course I needed new pens for the new endeavor. Every blog and every distributor I checked either reviewed and/or sold TWSBI pens. At that point, I'd never heard of TWSBI so I began investigating. Our Mission - To inspire and recapture the romanticism of art and literature...starting with the pen. There are a lot of slick words and empty promises in the world today. So I took a deep breath, hoped this wasn't another, and ordered my first TWSBI fountain pen. That was almost a month and more than thirty joyously hand-written letters ago. I used the word joyously intentionally because the TWSBI lived up to everything they promised and then some. And, just to add icing to the cake, I found by writing to him that the CEO, Philip Wang, is just as accessible as he said he would be. And just to demonstrate the TWSBI way of manufacturing and doing business works, today, I expect our mail person to deliver three new models to help satisfy my pen addiction. And, what does that have to do with global warming, over population, political stupidity, imbalance of wealth, war, famine, and drought? Everything. Creating a company that went from concept to icon in under four years required the implementation of the same philosophy that we must implement to solve the those towering issues. The first step for each of us is to find out what to do and then do our best to accomplish the part that is ours to do.